In Madison, Wisconsin recently, the line was out the door at Mickies Dairy Bar, as college graduates and regulars tried to squeeze in a meal before the day's festivities. The diner was built in 1946 and its menu still hails from the 1950s with burgers going for just 30 cents, but it's the ice cream shakes that make the eatery famous. 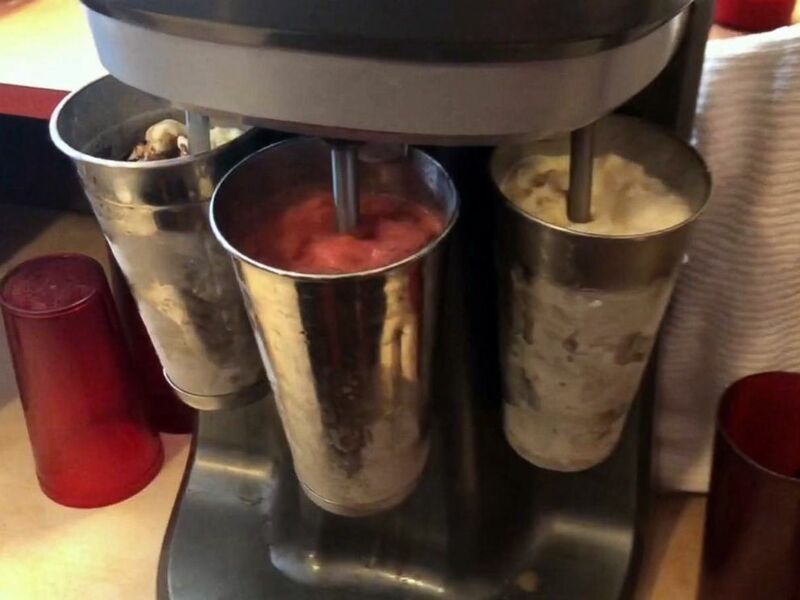 Whether they're vanilla, chocolate or strawberry, the shakes share the same special ingredient: Schoep's ice cream, which is produced in Madison and has been around since the 1930s. The shakes made at Mickies Dairy Bar share the same special ingredient: Schoep's ice cream, which is produced in Madison and has been around since the 1930s. Mickies owner, Janet Thongnuam, told ABC News that she'd been working at Mickies since 1991 with husband Payow. As ABC News traveled around Madison, Wisconsin, the theme of the visit was locally made products sold in the state's capital. Across town, dozens of small-business owners, from around the state, gathered for the Madison Mini Maker Faire last weekend at Monona Terrace. Vendors sold soaps, candles and even handsewn stuffed animals and toys from PlushZilla and Inkies. 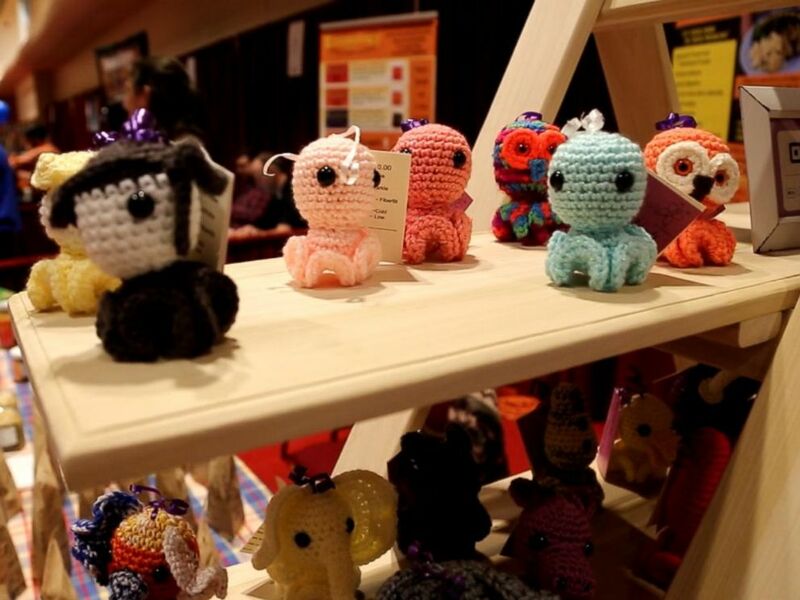 At the Madison Mini Maker Faire in Wisconsin, vendors sold soaps, candles and even hand-sewn stuffed animals and toys from PlushZilla and Inkies, seen here. "I have over 60 different kinds now so -- and I'm still designing," said Laura McGarvey, the owner of Inkies. "All original designs." "I've been knitting and crocheting for over 40 years," McGarvey said. McGarvey of Burlington, Wisconsin, said that it took her usually between 45 minutes to an hour to make each Inkie. Also at the fair was FeLion Studios, which makes cast-iron skillets in the shape of states. The company will be 6 years old in August. 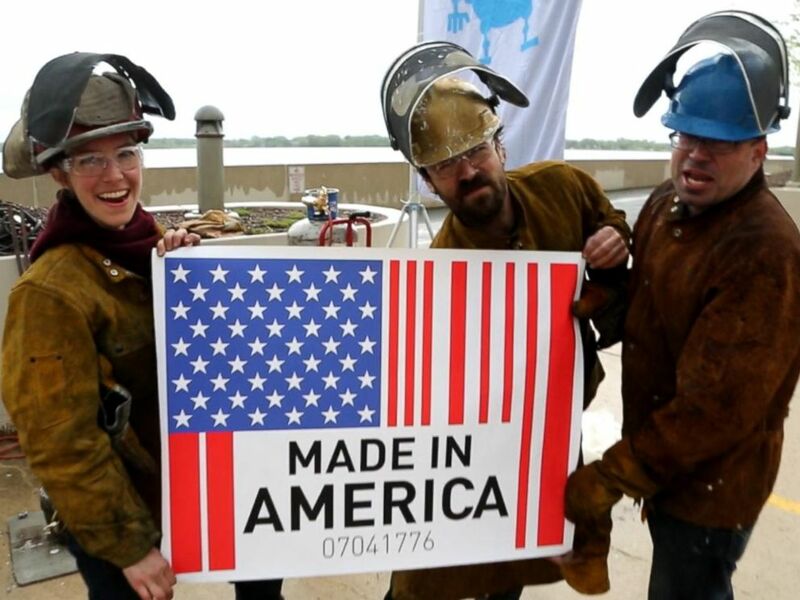 Alissa Toninato said that she and her team make skillets in the shape of the United States in addition to New York, Wisconsin, Illinois, Minnesota, Michigan, Oklahoma and Texas. 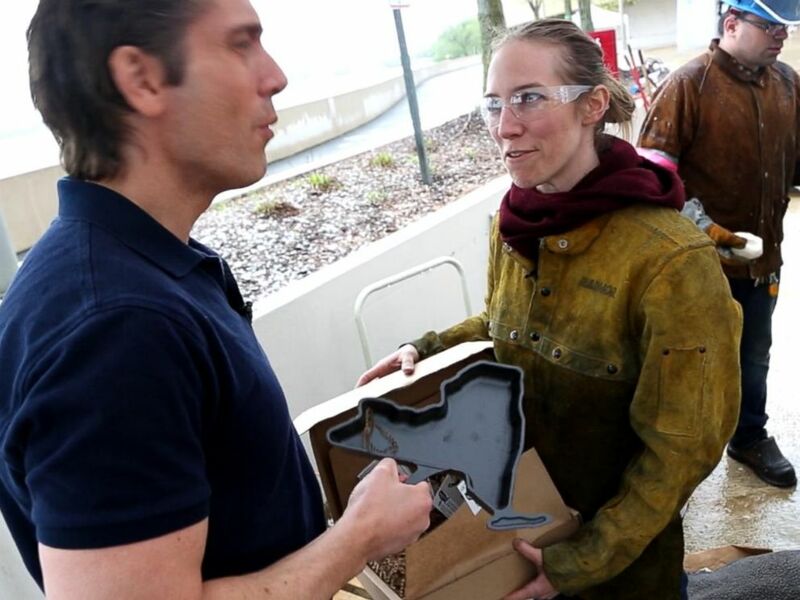 Alissa Toninato said that she and her team make skillets in the shape of the United States in addition to New York, Wisconsin, Illinois, Minnesota, Michigan, Oklahoma and Texas. She said the company decided on which state to make by fans' votes online. "People can just place their vote and tell us which ones we should make next and then we look at that. ... That's how we decide," Toninato said. "It's democratic." She said the company started making state-shaped skillets as an art piece. Then, a Kickstarter campaign was started. Donors requested their state skillets and, she said, Cracker Barrel and Martha Stewart started calling. The team at FeLion Studios in Wisconsin makes cast-iron skillets in the shape of states. The company will 6 years old in August, 2018. Back at Mickies, Thongnuam said it was very important to her family that the diner use local products. "It's part of what America's about," she said.